A while ago I read a blog post asking Should Students Write Their Own Reports? and of course my answer was a resounding YES! But it was not until this year – where I had team of like-minded educators and the support of leadership and administration – that I was able to put this idea ino practice. And, spolier alert, it was pretty magical! 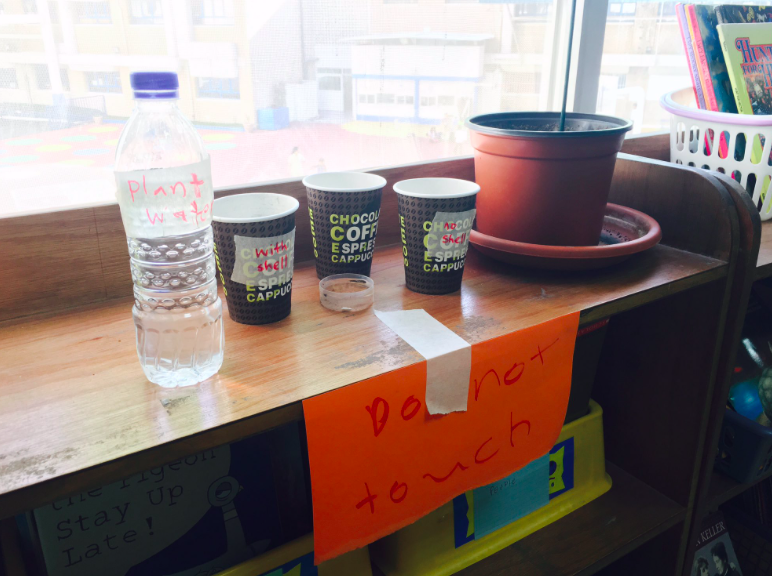 In order to dispel the common misconception that initiatives like this one means saying to the students “go write your own reports” while teachers sit back, sipping coffee and browsing their facebook…. I will share with you our process, from start to finish, along with some honest reflections along the way about how it worked and what we will change for next time. 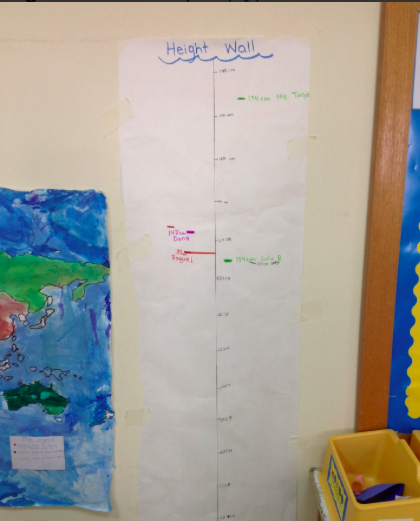 We knew that we really wanted students to take ownership of reporting their growth and progress to their parents for the first Unit of Inquiry, however we were also aware that this was likely the first time students had ever done this. So we thought long and hard (and spent many hours discussing) how we could support them in the process of writing their own reports. In the end, we decided to try guiding them through the writing process. 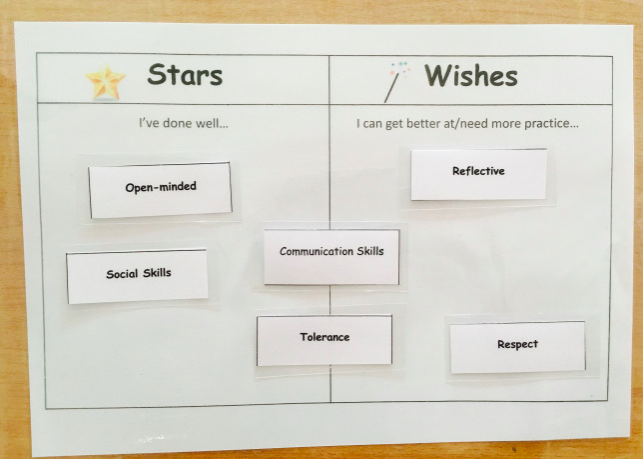 First we had students choose two Self-Management Skills and two Social Skills that they felt they developed as a result of our Who We Are Unit. 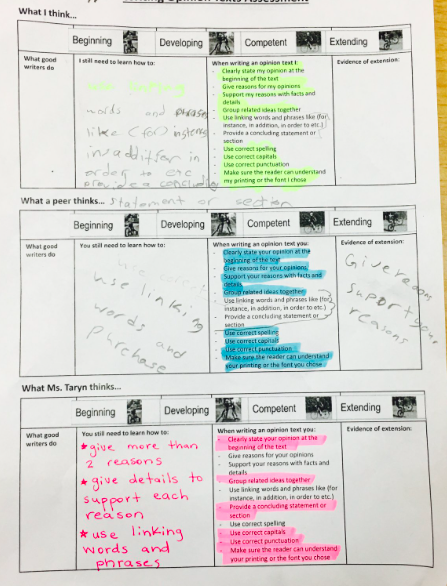 Next, we used the Visible Thinking Routine “Generate, Sort, Connect, Elaborate” to help students reflect on the learning expereinces that contributed to their development of each of those skills. Generate: Students wrote down anything and everything that they had done within the unit. Some students went through their Seesaw portfolios and others browsed their day plans to help them remember all their different experiences. They wrote each experience on a small piece of paper. 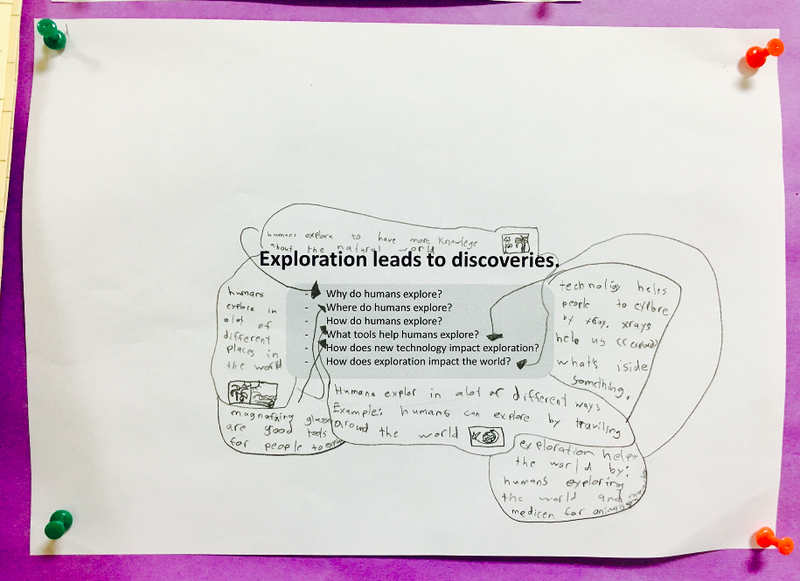 Sort: Students placed the learning experiences purposefully on a graphic organizer. The more that learning experience contributed to the development of a specific skill, the closer they placed it to the skill on the organizer. The more it contributed to their understanding of Who We Are the closer they placed it to the transdisciplinary theme in the center of the page. Connect: Students drew arrows to show connections: between two learning experiences: between learning experiences and skills: between learning experiences and the transdisciplinary theme etc. Elaborate: Students explained their reason for the connections along the arrows they drew. Secondly, we set up a Google Form where students could synthesize some of the ideas from the above brainstorm. 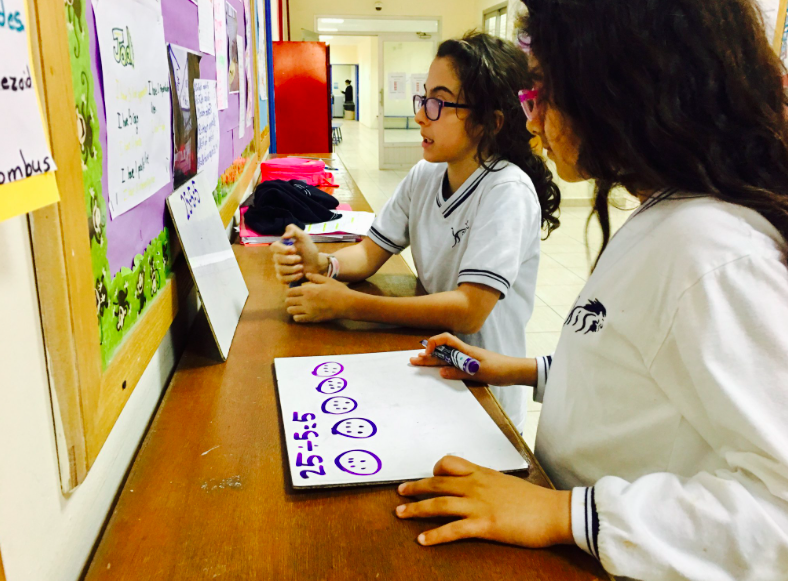 We set-up the form so students could evaluate to what extent they developed each skill and so they could bring together the different experiences that developed each skill. We also had questions to allow students to evaluate their understanding of the central concepts of the unit, as well as begin to brainstorms their next steps as learners. The Google Form was set-up to auto-format their responses into a Google Doc that they could then refer to when it was time to draft their comments. To help students take their ideas from the brainstorming stage and turn it into comments that would be understood by a reader, we set up a graphic organizer with guiding questions. Students then used their VTR and their automatically formatted Google Doc mentioned above to write a first draft of their comments in the boxes. 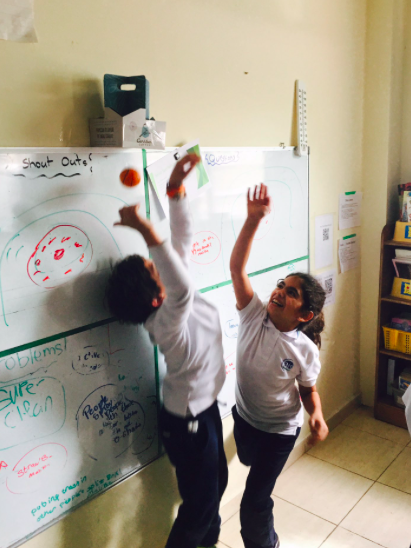 Our big focus for revision, was organization and transitions. Because students wrote four separate responses in the four boxes shown above, we wanted to support them in synthesizing those separate responses together into a coherent piece of writing. So first we had them copy and paste their responses from the boxes, into one piece of text. Then, we pulled out examples of transition sentences that some students naturally used in their draft and shared them with all the writers. Then we colour coded either where we had seen an attempt in their draft to transition from one idea to the next, or where a transition sentence might be needed. Before we started the editing process, we used the Golden Circles approach (Why, How, What) to create a class anchor chart about feedback. Finally, the teachers gave feedback to students by leaving them detailed and specific comments on their Google Doc. For English Language Learners and students who needed extra support, we sat with them and shared our feedback orally. In order to also contribute our voice and perspective to the report, the techers then wrote a short paragraph in response to the students’ evaluation of their own learning. We wrote about the degreee to which we agreed and supported the students’ evaluation based on our own observations and assessment data. Finally, we posted the final product and Managebac and pushed it out to parents. We wanted to make sure we gave parents a chance to share their perspective with us about our approach to having students write their own reports. So we sent them a Google Form. it was SO validating to see that NOT ONE parent wanted to have fully teacher-written reports! What do you see as the benefits and drawbacks of student-written reports? 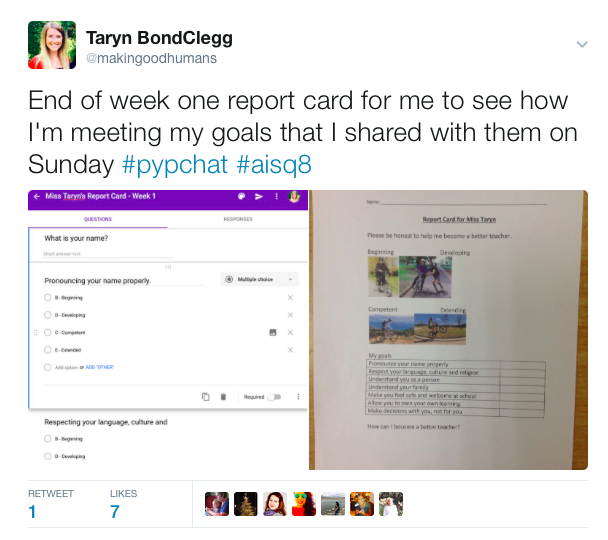 How do you include your students in the process and product of their written reports? What feedback do you have for us to help us strengthen our approach to student-written reporting? Supporting Students’ Agency – Take Two! Last year, was the first year in my career as an educator where I tried to my best to respect and support my students as agentic learners. There were many successes, many frustrations and a whole lot of learning. This year I am it again! Hoping to continue to challenge and change my own beliefs and practices and hopefully do a better job respecting and supporting my students’ agency. This year I have changed schools and joined a team of like-minded educators, who are also interested in re-thinking education, pushing the boundaries of “doing school” and innovating the PYP. Our initiative is called Studio 5 and it has been amazing to be a part of it so far. 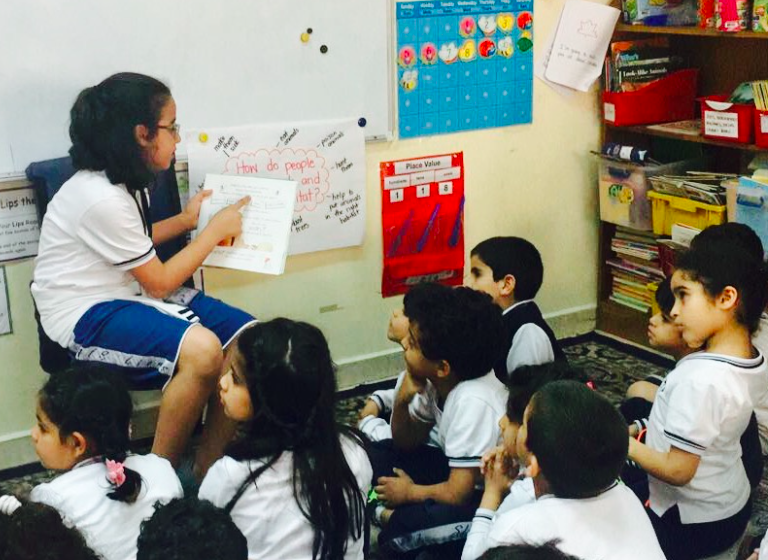 We are in the process of organizing ourselves so we can share, in detail, what we are doing, why we are doing it – and the part that is usually most appreciated by teachers – how we are doing it. When that blog is up and running I will be sure to share the link here. For now, I just wanted to take some time for myself to reflect – What approaches have I kept from last year… What have I changed and improved… What new things have I tried… and most importantly how it’s all been going so far. Each morning is a slow start to the day – meaning students can come up to class any time they like between 7:45 and 8:15. 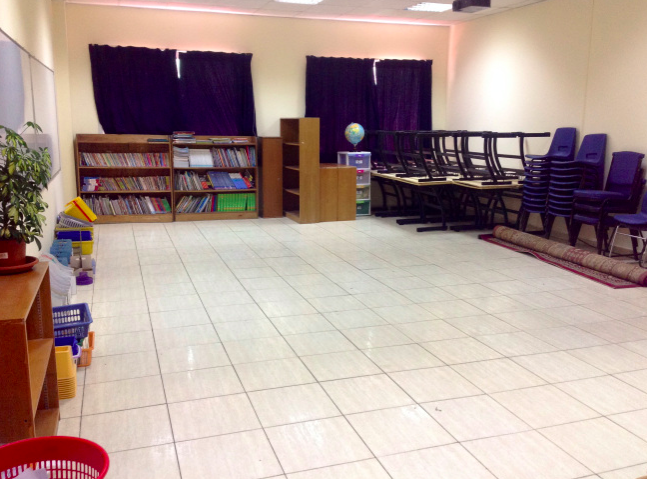 During this time all 4 homerooms are open and offer something different and the students roam freely from room to room, building, creating, playing and enjoying each other’s company. Using the Visible Thinking Routine “Growing Definition” students came up with a list of rights for the time they spend at school. Providing lots of opportunity for students to voice their thoughts and opinions including using the Visible Thinking Routine “Compass Points” to collect their needs, worries, excitements and suggestions from the first day of school; having an ongoing place in the room for students to document problems, questions and ideas; asking students to complete surveys with honest feelings about school, learning and themselves. At the beginning of the year, each grade attends a “Bonding Day” to help students and teachers get to know one another and begin to build a strong sense of community. Instead of teachers planning and running this day for the students, the students planned and ran this day for themselves. 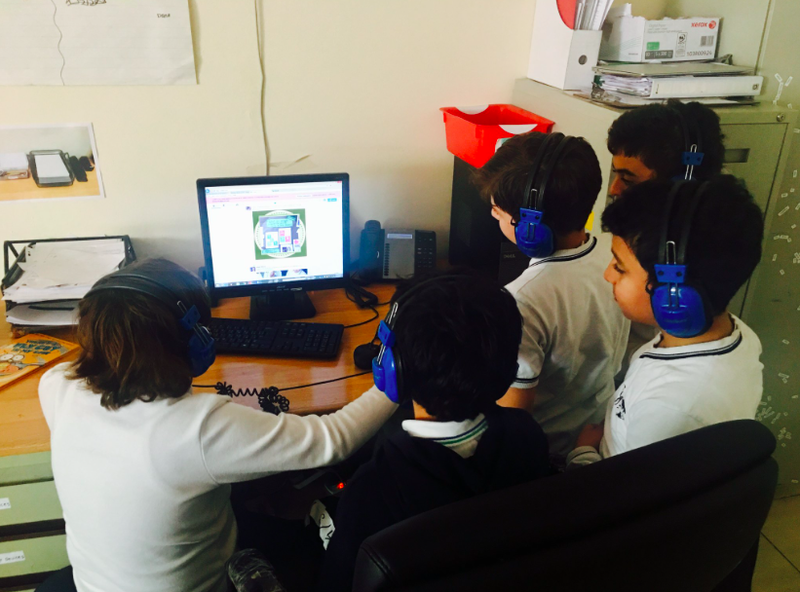 This involved researching activities, putting the plans together, testing out their games on each other and their parents, receiving/analyzing/actioning feedback from multiple sources, advertising their game and finally -when the day came – running their activity. Since we are trying to break through the typical notion of “my homeroom” and create a collaborative culture where all Studio 5 students are learning and working together, instead of having students set up their own classroom, we had the entire Studio 5 student body re-design the whole Studio 5 area. This required having students really understand the “why” of having them design their own learning space as well as having some interesting discussions on planning and making decisions on behalf of a large group of people. In order to make this happen, students connected with others across the grade who shared a similar interest, collaboratively conducted research and collected data, put together a video proposal on Flipgrid and if they received majority support from the community they could put their plan into action. We used the Frayer model to tune into what we thought “learning” meant, then we used the process of “Growing Definition” to come up with a shared understanding of what “learning” means to us. We used this definition to create criteria to help us know that learning has happened (can be seen below along the right side of the day plan template). 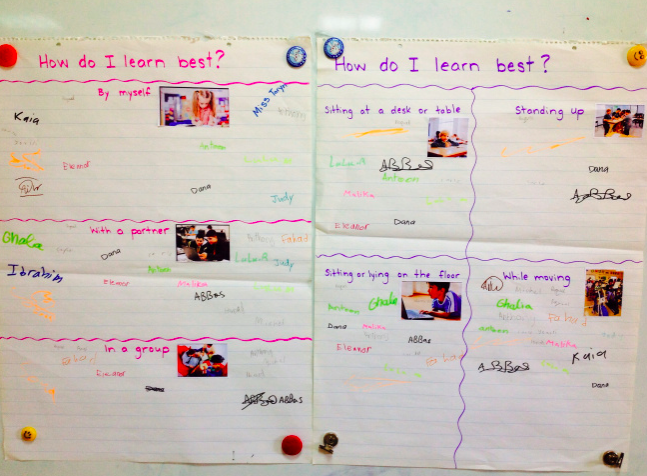 We also spent time thinking about how learning happens and who we are as learners. Finally we “looked for learning” by identifying the learning that had happened over the past weeks – even if we weren’t aware of it at the time. I was also cautious not to quash curiosity and any initiative my students were taking to pursue a curiosity or interest. Whether it was building, designing, figuring out if a lime could power a light or how best to make a wad of clay stick to a glass wall… I tried not to stop them or stand in their way. I started having students plan their own day the same as I had done last year by giving them a blank template that had the timings of periods and empty boxes. Thanks to collaboration and amazing team members, I was able to fine tune and improve this process. 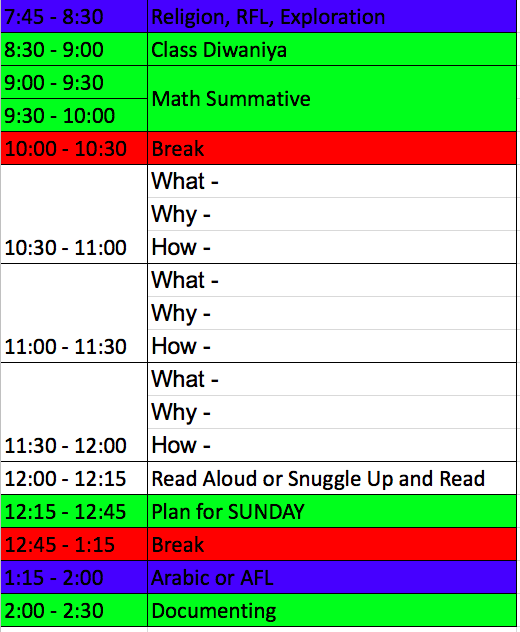 I started to use the MOSCOW method to help students see different priorities for the day and I amended the day plan template to build in space for not only what they were doing, but also why and how. One of the best improvements to the day planning process and template was building in a focus on ATL skill development. 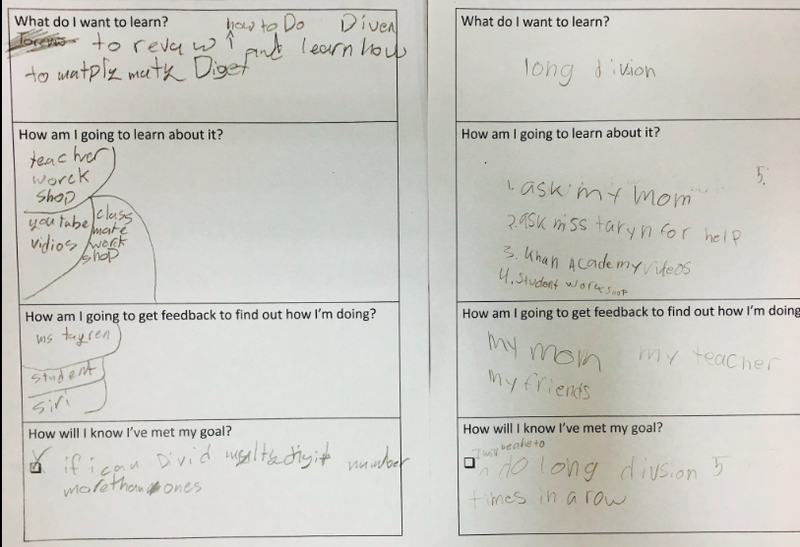 In order to help students get to know themselves as reflective learners, and to become more aware of their reflective preferences, we discussed and experimented with many different approaches to “how” we can reflect as well as “what” we can reflect about. 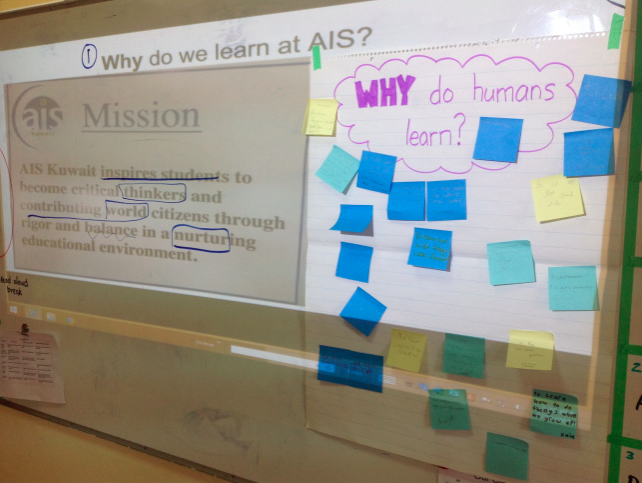 From here students will (hopefully) be able to make informed choices each day when reflecting on their learning. Students are also working towards using their daily reflections to inform the choices they make the following day when completing their day plans. The first period and last period everyday is “C.A.R. time” where students are supported by a learning advisor to “Choose. Act. Reflect”. 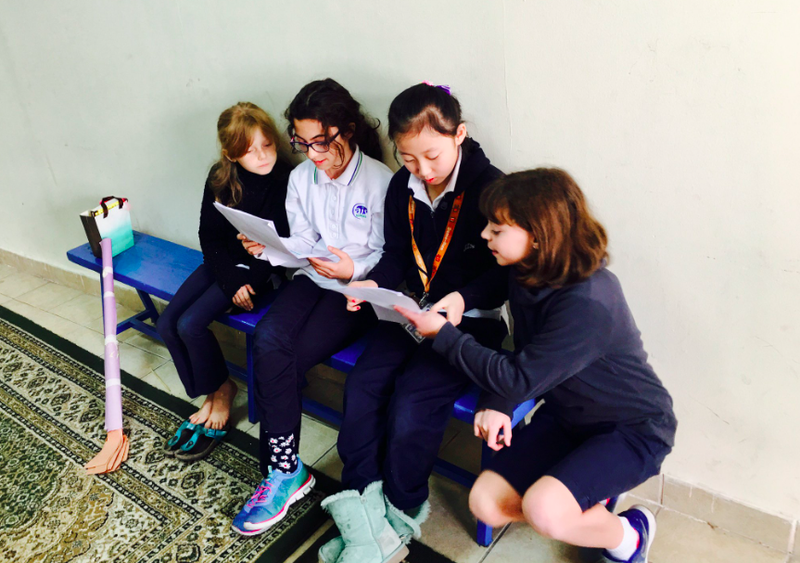 The groups are small enough that the advisor can meet with each student in the morning to offer advice on planning their day and again in the afternoon to encourage deep and meaningful reflections about the day. In our Studio 5 model it was important to us that students felt empowered to lead their own workshops for other students. 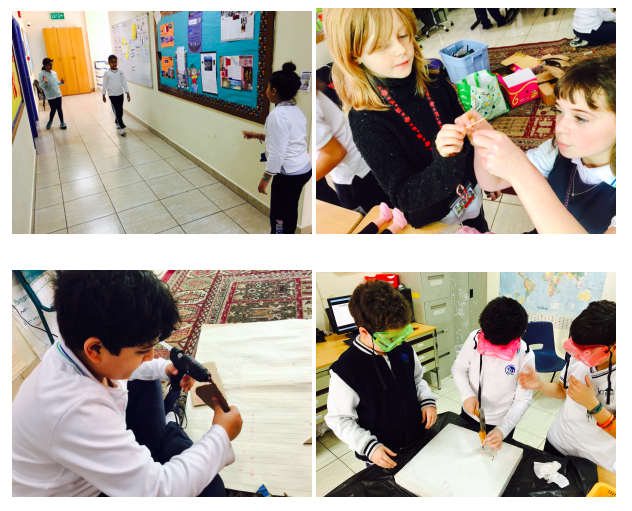 In order to get this process started, students first used the “Gradual Increase of Independence” to reflect on things they can do independently, as well as things they would need to be taught, helped with and things they could teach others. These reflections were then shared in a central place so students could start to see both workshops they might want to offer and workshops they might want to participate in. 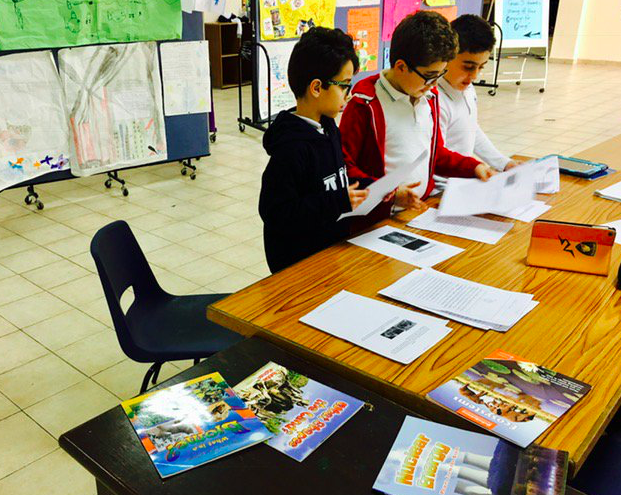 From there students took initiative to plan, advertise and facilitate workshops on a range of topics. As much as we wanted students to be empowered to lead their own learning, we also wanted to make sure we were a part of their learning too! So in attempt to move away from the typical mandatory, full class lesson model, we began to offer optional workshops that any student – regardless of which homeroom they were in – could sign up to attend. 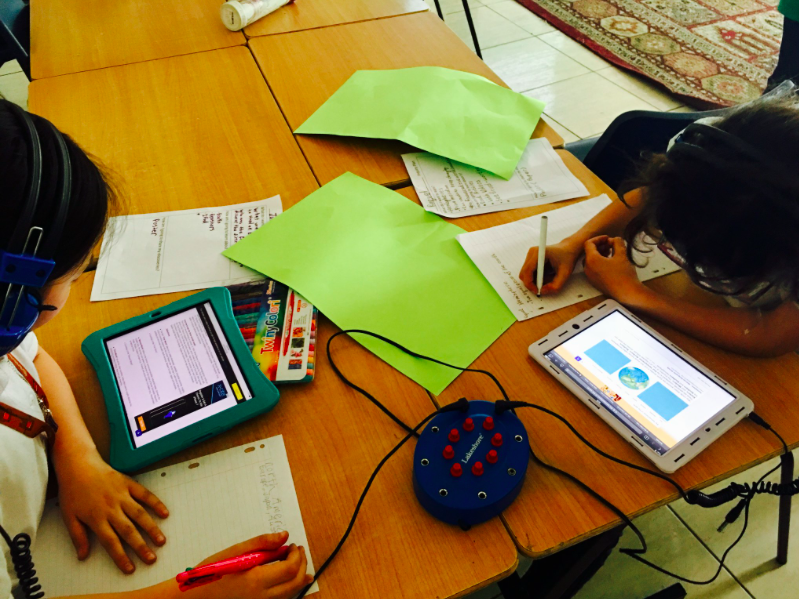 Workshops ranged from read alouds, to creative writing, to math concepts to tech skills. 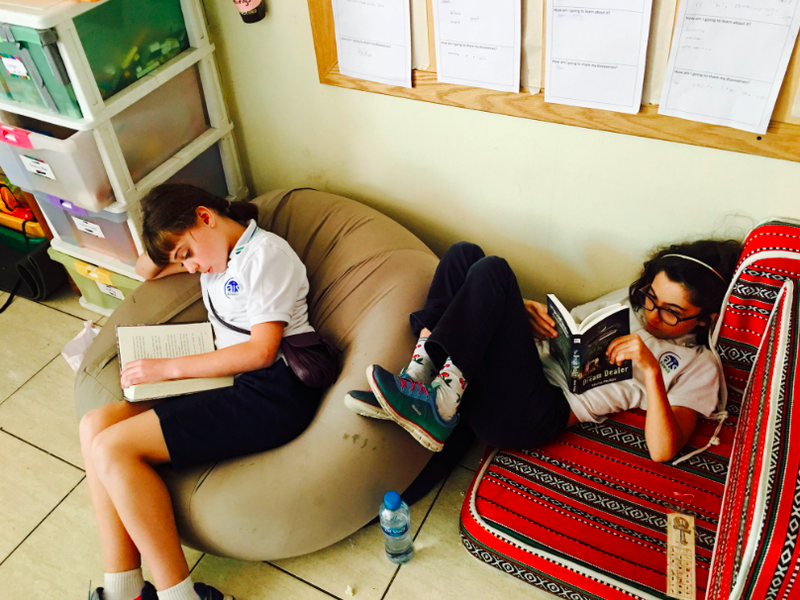 In our Studio 5 model it is important that students are developing their literacy skills – but we want to be careful that this does not infringe on their agency as learners. 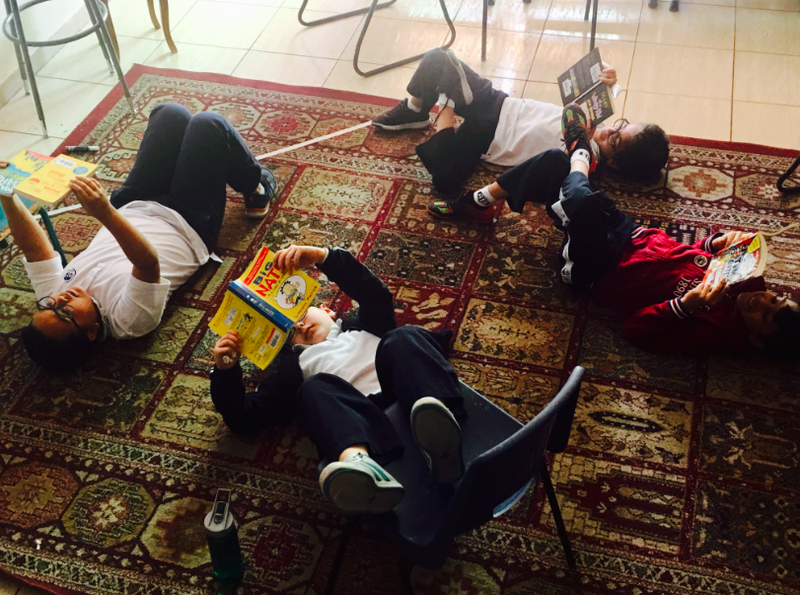 So we have been focusing more on creating a culture of passionate readers and writers – with the help of advice from blogger Pernille Ripp – focusing on what we can do to help them want to read and write. We try to make books visible, accessible and valued; we encourage students to use and enjoy the beautiful school library; we ensure space for students to share book recommendations with one another; we encourage reading at any point in the day; we invite students to become reading buddies for younger students; and we provide options and opportunities for practical and creative use of language. In order for students to be able to lead their learning, they must have access to all the usual behind-the-scenes process teachers engage in. For our first stand-alone math unit we wanted to support students in not only understanding what is expected to be learned by the end of the unit, but also how they could figure out what they may already know. 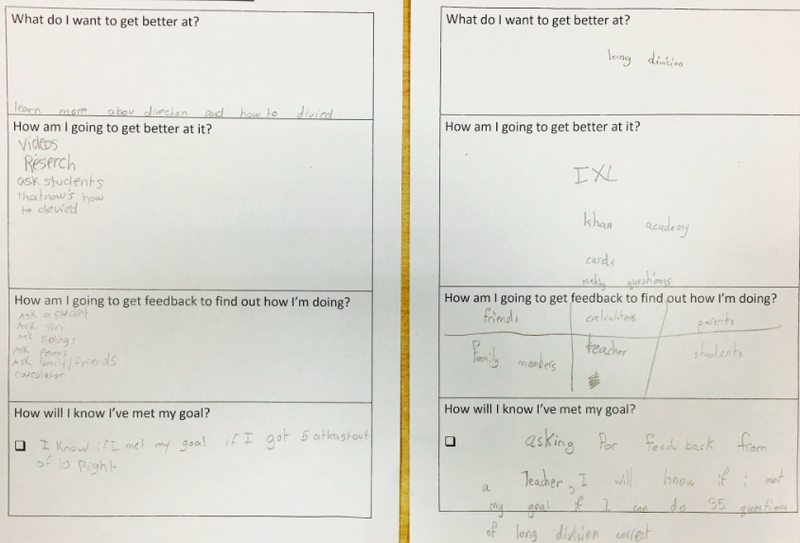 We supported the students in using the “Gradual Increase of Independence” to self-assess where they thought they were for each math learning outcome. But more importantly, we discussed the difference between thinking you know something and being sure that you know something. We discussed the role of providing evidence and gathering feedback from experts to ensure you are on the right track. Some students decided to create a Google Slides presentation to house their evidence and others preferred to collect their evidence in a notebook. Some students used a teacher as an expert, others used an older sibling, parent or peer. 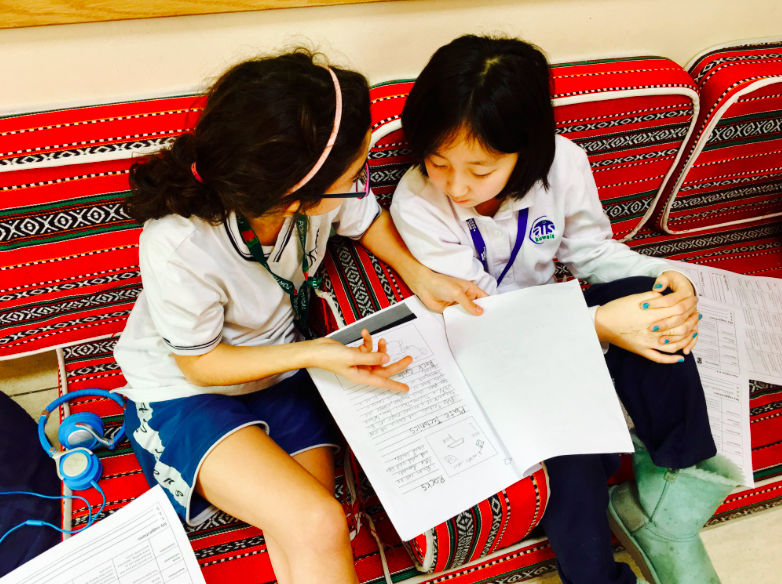 As students received feedback from their experts, many of them made changes to the placement of the learning outcomes along the Gradual Increase of Independence. Similar to ensuring that students feel their voice is heard and valued, it is equally important to ensure that parents feel their voice is also heard and valued. Sending home a Google form was an amazing way to better understand their child, their family and their perspective on the purpose of school. I am so excited that our administration supports the idea that if students are truly owning their learning, they should be the ones to write their evaluation of learning report. To help them in this process, we used the Visible Thinking Routine “Generate, Sort, Connect, Elaborate”. First we had students reflect on everything they had done in the Who We Are unit, then we had them think about how those learning experience helped them develop two self-management and two social skills as well as how those experiences contributed to their understanding of “Who We Are”. From there, students used their concept map to reflect on questions in a google form. Next week, students will then turn these responses into a cohesive paragraph that will be used as their official written report for the Who We Are unit. What is your feedback about what we have been trying so far? How can we continue to improve as PYP teachers in support of student agency? How have you been respecting and supporting your students as agentic learners? 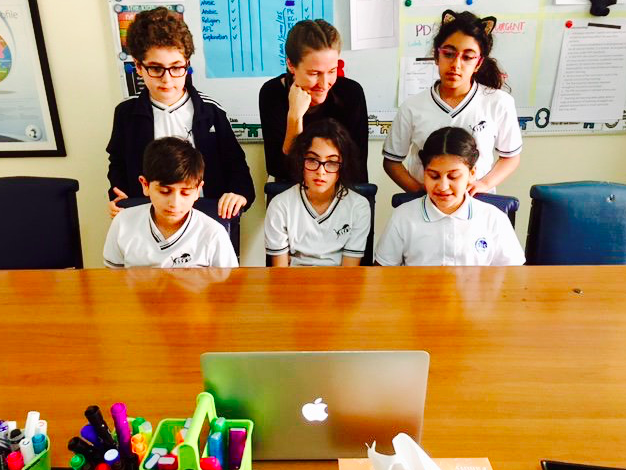 My students and I were recently asked to Skype into a PYP workshop to share examples of how student agency works in our classroom. In preparation, we brainstormed everything this year that contributed to students experiencing a sense of ownership over their own learning. In addition to sharing our story with the participants of the workshop, I thought I’d also share the list with you! Student shared that being invited to help set-up the classroom at the beginning of the year helped them to have a voice in decisions about their learning and how the classroom could be set-up to support their learning. Students reflected that being able to participate in decisions usually made by the teacher helped them feel like they had a voice. The specifically pointed out our classroom board where they could identify problems, ideas, and questions. 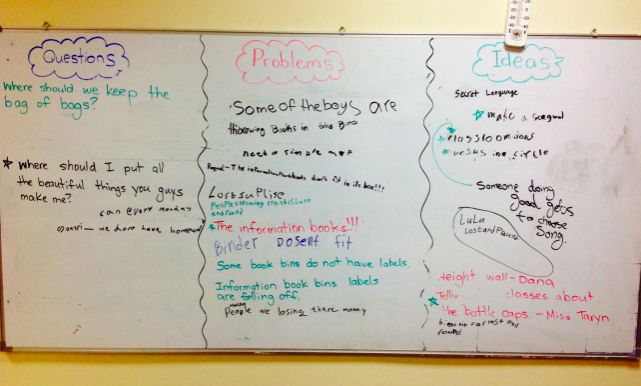 The explained how the routine we had each morning going through the board and collectively solving problems, agreeing on ideas and answering questions helped them experience more control over in their lives as students. Students identified the pre-assessments (or time capsules) we do at the beginning of each unit as playing a role in helping them to own their own learning. They explained that the pre-assessments help them know themselves and what they already know and can do before a unit starts. This helps them know where they are and where they need to go. Students shared the importance of choice and trust in feeling agentic. Choice in where to learn, how to learn and who to learn with were identified as factors that helped them have agency in their learning. They also shared the importance of having trust from their teacher to test out different options and space to make mistakes and wrong choices along the way. It was often experiencing choices that blocked or hindered their learning that had the biggest impact on getting to know themselves as learners. 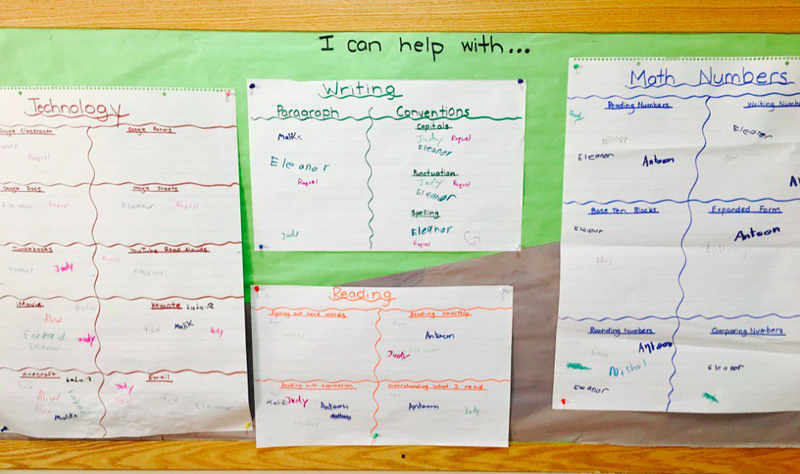 Students reflected that our approach to three-way conferences also helped support their sense of student agency. Being able to share their thoughts and perspectives about their own learning first – before hearing from their parent or teacher – helped them feel the sense that the learning is theirs. Far and beyond, the one thing that students identified as helping them experience the most agency as learners was the opportunity to plan their own day. 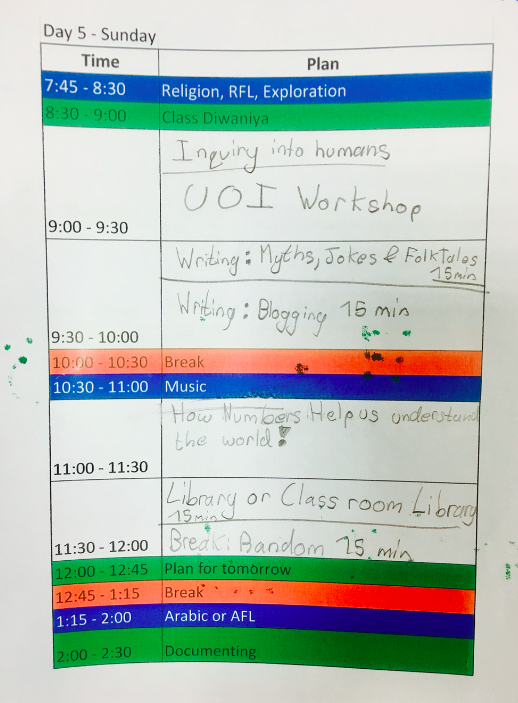 This has been a ongoing experiment and has taken many forms along the way – but the main idea is having students write their own day plans. One specific version of students planning their own day is Creativity Thursday. 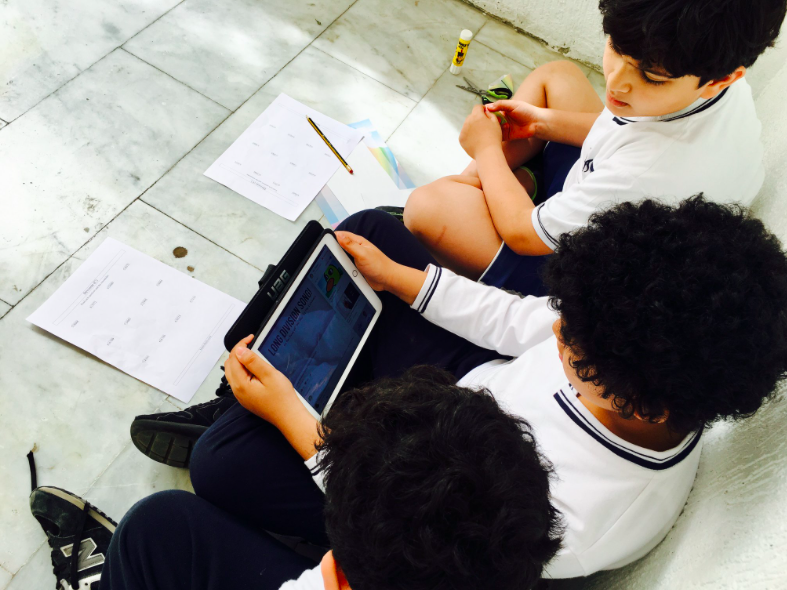 Students explained that this provided them with the most ownership over their own learning – because unlike other days when they are planning their days around teacher planned units or school-chosen curricula – on Thursdays they have ultimate choice over not only when, how and where to learn, but also what to learn. On Thursday they are able to truly pursue passions, interests and curiosity of their own choosing. I believe that investing the first month of school to learn about learning and learn about ourselves as learners set the stage well for students to feel empowered and capable of exercising ownership over their learning for the rest of the year. 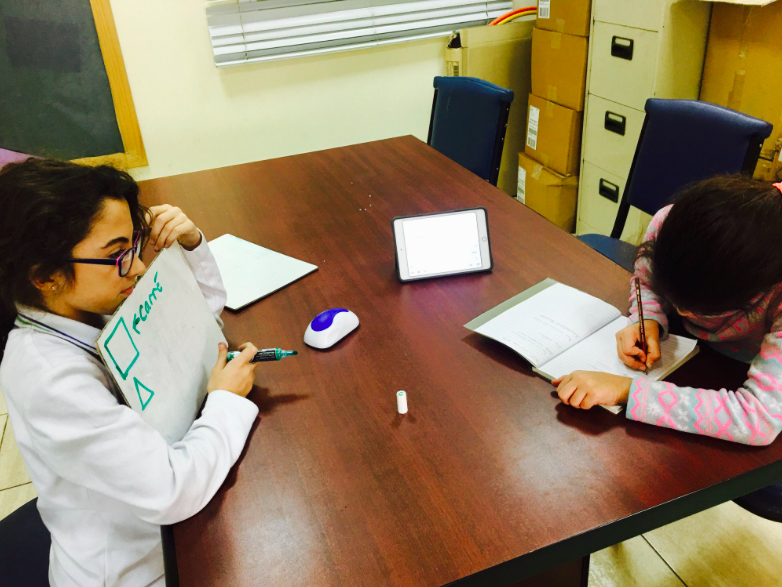 In addition to pre-assessments, our approach to assessment in general this year has helped students to feel more agency in their learning. Approaching assessment as something you do with students – not to students – has helped them experience more ownership and voice in the process of assessing and evaluating their learning. 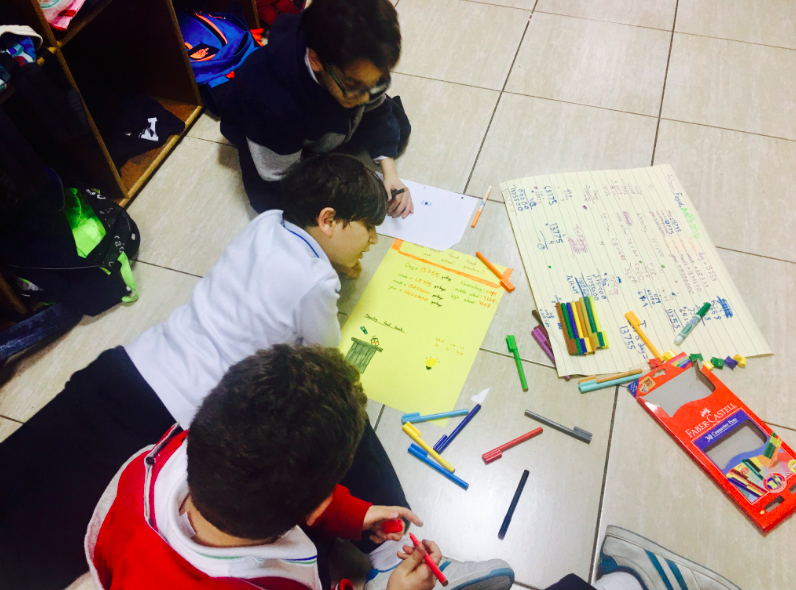 Taking the time to purposefully plan out their learning, based on personal learning goals has also helped students be in charge of their own learning. Taking data from pre-assessments and planning what they wanted to learn, how they wanted to learn, how they were going to get feedback and how they will know if they achieved their learning goal really put them in the driver’s seat of their own learning. 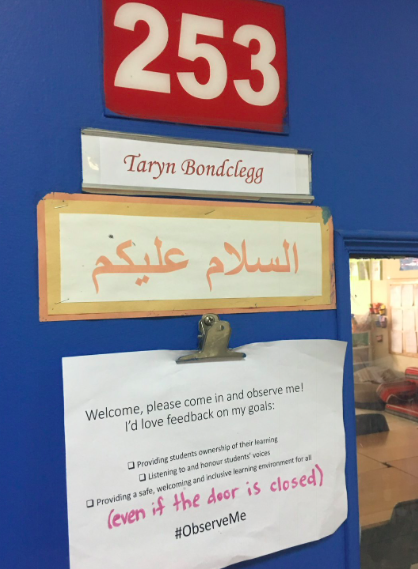 Building a culture where students see one another as valuable sources of learning, assistance and feedback has also helped students to be able to take ownership of pursuing learning through multiple avenues – not only depending on the teacher in the room. This year, as much as possible, I have tried to move away from things that are mandatory for students (often decided, organized and arranged by their teacher). I tried to take things that students are usually obliged to participate in, and reimagine a way to make them optional. Our approach to reading buddies is one example of this. I think it has been important to try and create a culture of initiative. 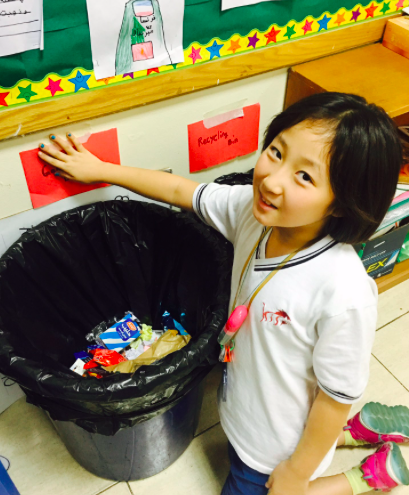 Whether it is an idea to label to garbage cans, the desire for a height poster or a proposal for a field trip, I believe that honouring and supporting students’ initiatives this year, both inside and outside of the classroom, have help students notice and be aware of their own agency. It often comes at the cost of a “pinterest-perfect” classroom, but it is worth it! I think it has also been important that I share my goals to develop student agency with my class. I think there should be no “secret teacher business” and that my students, their parents, my colleagues and administrators can all have a part to play in helping me work towards my goal. Being open and honest about my goals was a great first step, but then taking the initiative to ask for feedback about my goals was really what helped me reflect and grow along the way. I am by no means an expert on the matter. Just a curious and interested learner who has tried to take risks and reflect in the pursuit of building a classroom that honours student agency. I’d love to continue my journey as a learner and hear from you as well! How do you respect and support student agency in your classroom?